Week Two: Monday, Tuesday, Wednesday, Thursday 4:30 PM – 9:00 PM. Class Final Exam Friday 4:30 PM – 9:00 PM. Cost: $1500.00 plus tax. Includes books and materials. PLEASE NOTE: You must attend every class and pass the class final with 75% to pass the course. Independent Study of no less than three and a half hours to prepare for the lessons the following day is part of required 80 class hours. Classes are conducted in the English language. Classroom disturbance will be grounds for dismissal from class. IMPORTANT: Classes that do not meet minimum enrollment requirements may be cancelled. There are no refunds once class starts. 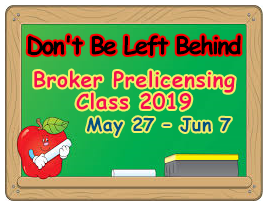 Among other requirements before taking the Hawaii Broker exam are three years’ full time experience and obtaining an experience certificate signed by your Principal Broker or Broker in Charge. Please review the General real estate licensing information found on the state website before enrolling in this course – http://files.hawaii.gov/dcca/reb/real_ed/gen_info/blue.pdf. Here is the link to the Broker Experience Certificate for your Broker to complete. It must also go to the state for their approval. 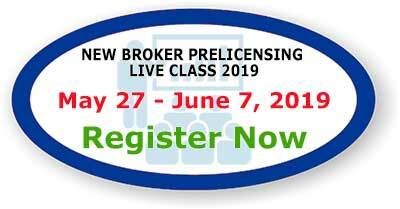 You will not be admitted to the Broker Licensing Exam Without the Form. It sometimes takes weeks to get it back so apply for it accordingly. Click HERE to access forms. Live lecture, PowerPoint, Discussion. Quizzes to assist you with evaluation and test taking skills will be given daily. Independent Study of no less than two hours to prepare you for each class is required prior to the class. Review of material for the Course Final and State of Hawaii licensing exam is featured with practice exams. A Course Final consisting of 150 questions will be given on the last day of class with 100 Uniform questions and 50 Hawaii questions. Passing score is 75% on each section. No final exam retakes are offered. Daily class attendance is required to pass the course. Textbooks and materials are included in the price of the course. An optional vocabulary download is not included but available online through your app store. The cost of the course and materials is $1500.00 plus tax. Payment must accompany registration. There are no refunds once class starts. 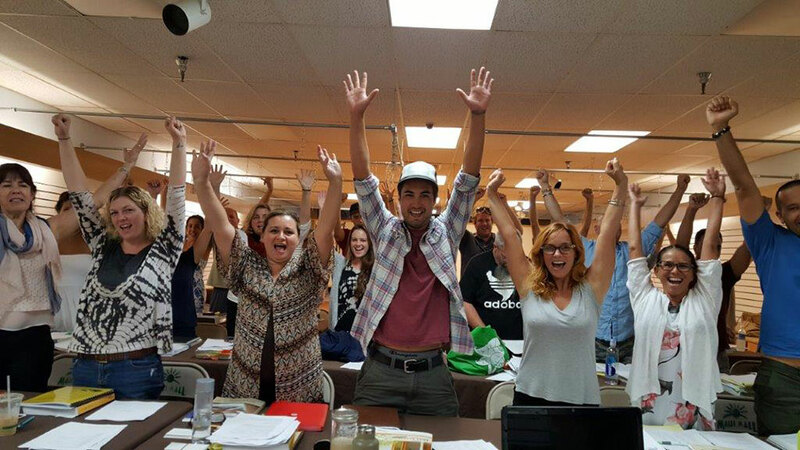 Passing the Carol Ball School of Real Estate Broker Prelicensing Course requires attendance at all the classes, completing the Independent Study portion of the class and passing the class final with at least 75% on the Uniform portion of the final as well as 75% on the Hawaii portion of the final. There will be no opportunities for repeating the final exam. Students should be prepared to devote 2 hours a night Independent Study to prepare for the class the following day. The class is fast paced and requires exclusive focus on the course material for the duration of the course period. Completion of Independent Study to read new material prior to coming to class is essential to success and passage of the course. Attendees should be prepared to give the course their top priority. The school reserves the right to dismiss a student who is disruptive to the class. There are no refunds given to any student who has enrolled in the course. Carol Ball School of Real Estate does not discriminate on the basis of race, color, religion (creed), gender, gender expression, age, national origin (ancestry), disability, marital status, sexual orientation, or military status. 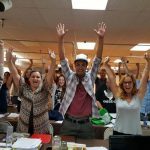 Information about the State of Hawaii real estate licensing exam may be found at https://candidate.psiexams.com/. 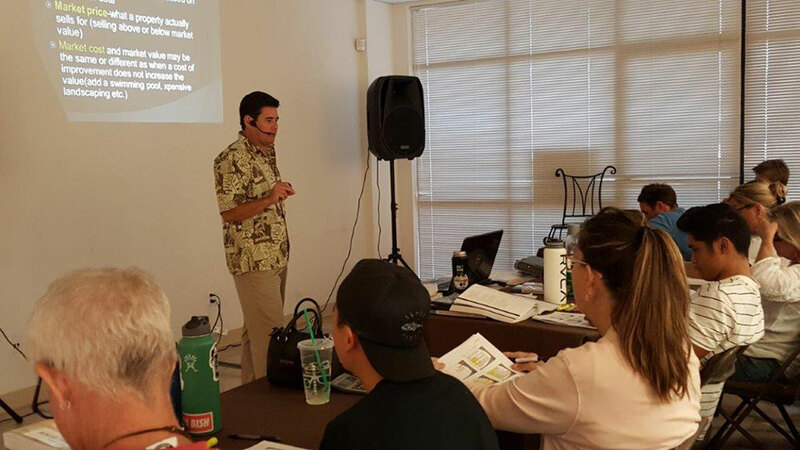 The live real estate Broker prelicensing course is taught by Keone Ball, REALTOR ®, ABR, CRB, CRS. He introduces the lessons by relating them to his experiences through his own sales involvement since 1997 as well as through his broker mentorship of sales persons since 2001 at the multi-agent firm where he is Principal Broker. 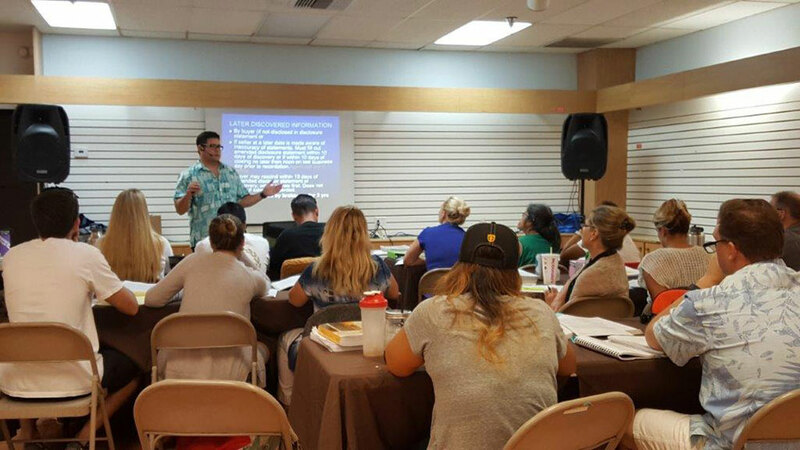 Keone has successfully led classes individually and co-instructing with Carol Ball preparing students to pass the licensing exam. Testimonies of past students and passing rates above the state norm attest to the success of his teaching techniques. He is a member of the National Association of Realtors and is an Accredited Buyer Representative, Certified Real Estate Broker Manager, and Certified Residential Specialist. 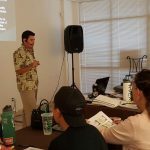 He is a Certified Real Estate Prelicensing Instructor for the State of Hawaii. 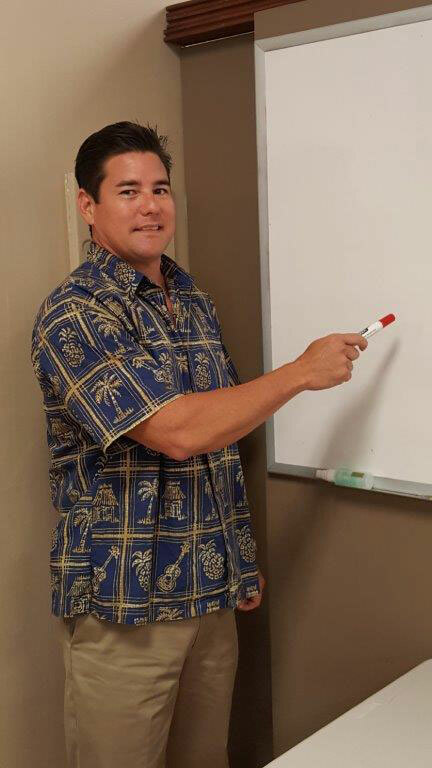 Licensed in real estate since 1996 and earning his Broker’s license in 2001, Keone serves as Broker of Carol Ball and Associates successfully training and mentoring sales agents and recruiting new agents to the firm. 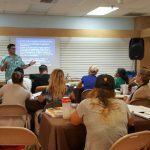 His experience serves him well as an instructor allowing him to successfully introduce the class to essential concepts through his vast real estate experiences. Keone served as President of the Realtors Association of Maui and held Directorships with the Hawaii Association of Realtors. His community activities include serving as chair of the Maui Police Commission and chairperson of the Maui Planning Commission. NOTE: There are no refunds once class starts. DON’T FORGET ABOUT THE BROKER EXPERIENCE CERTIFICATE!